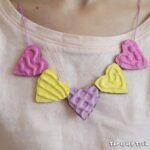 A super simple and quick heart craft for kids to make. 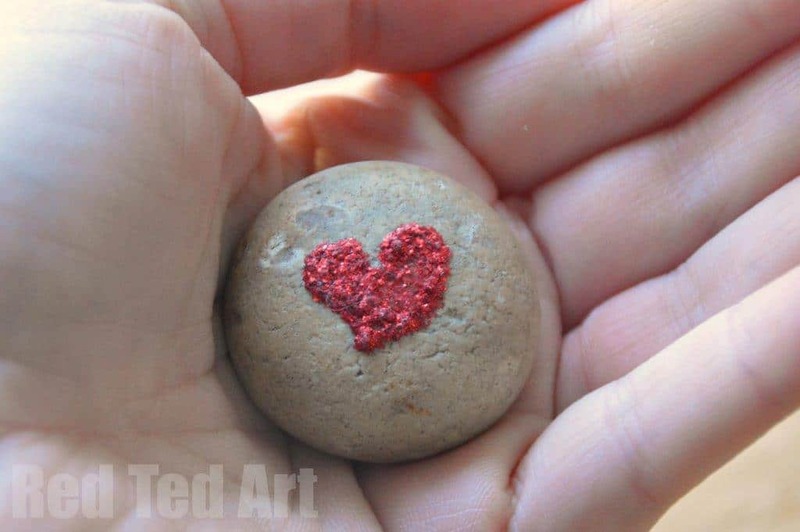 This heart stone craft makes a great little “pocket friend” at Valentine’s Day or for Mother’s Day. 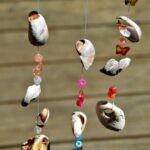 As you know we love all Nature Crafts, especially Stone Crafts! 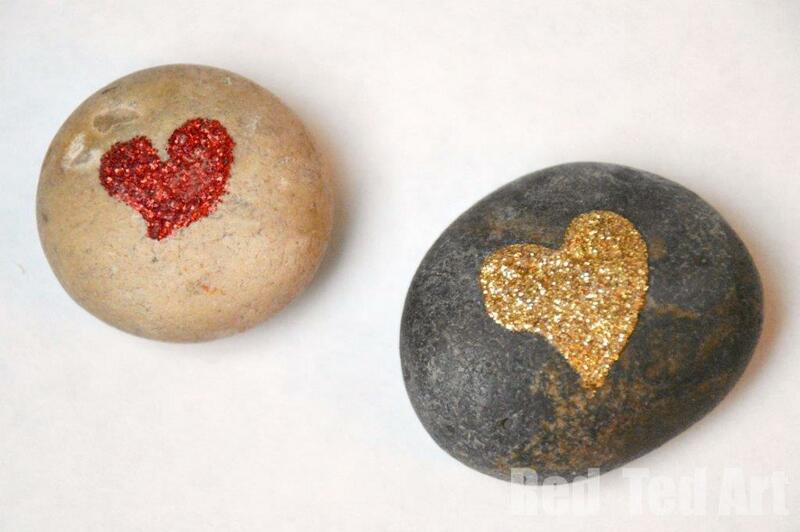 And the upcoming Valentine’s Day is the perfect excuse to make some of these lovely Heart Stones. 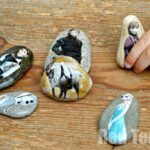 What I like the most about these stones, is that they are super tacticle. Slip them in your pocket and know that a loved one is there. I am going to sneak it into The Englishman’s coat…. and surprise him with some “love” when he next puts his hand in. 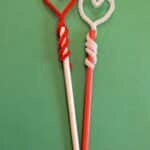 As they are so easy and quick to make, they are a great little Valentine’s gift for class mates too. 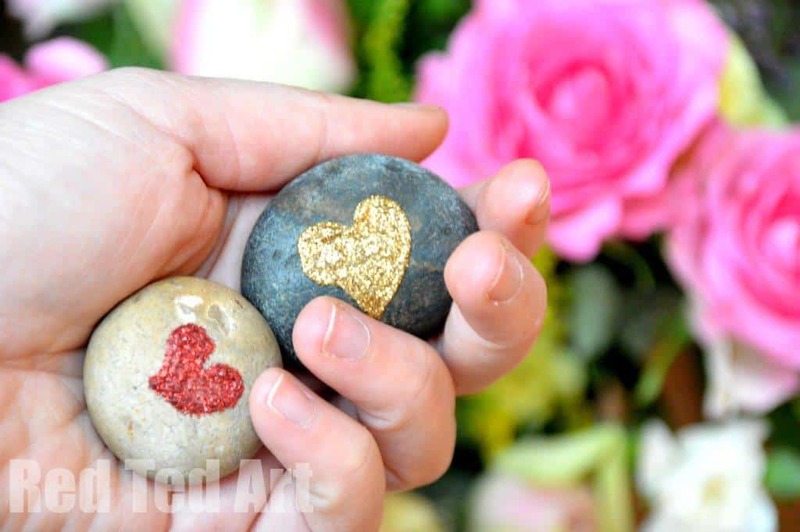 To make these Valentine’s Gifts – all you need is some nicely shaped stones (the ones that fit into the palm of your hand and feel smooth) and some glitter glue. You can of course use PVA glue and loose glitter too. Both work just as well. Draw your heart with the glitter glue and let dry. 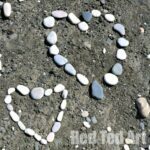 If your kids are feeling “Insecure” about the heart shape – you can draw one on the stone in pencil for them to “trace”. But I would challenge them to give it ago and make their stones really special! 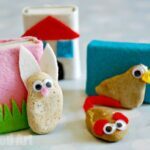 Alternatively, I think you would LOVE these Needle Felted Hearts too! Aren’t they lovely? 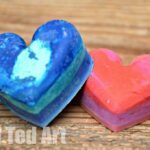 Looking for more great heart crafts? 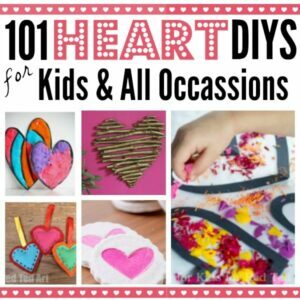 Check out this collection of 101 Heart Crafts today! oh you do simple and beautiful so well Maggy!